Jewish school children, Mukacevo, ca. 1935–38 © Mara Vishniac Kohn Courtesy International Center of Photography. Free, booking essential. Venue: The Courtauld Institute of Art. This talk and panel discussion, led by Maya Benton, the curator of Roman Vishniac Rediscovered (curator at the International Center of Photography in New York), situates Vishniac’s work in the context of historical, artistic and contemporary developments, exploring his relevance and resonance today. Benton is joined by Hans Rooseboom and Laura Wexler. 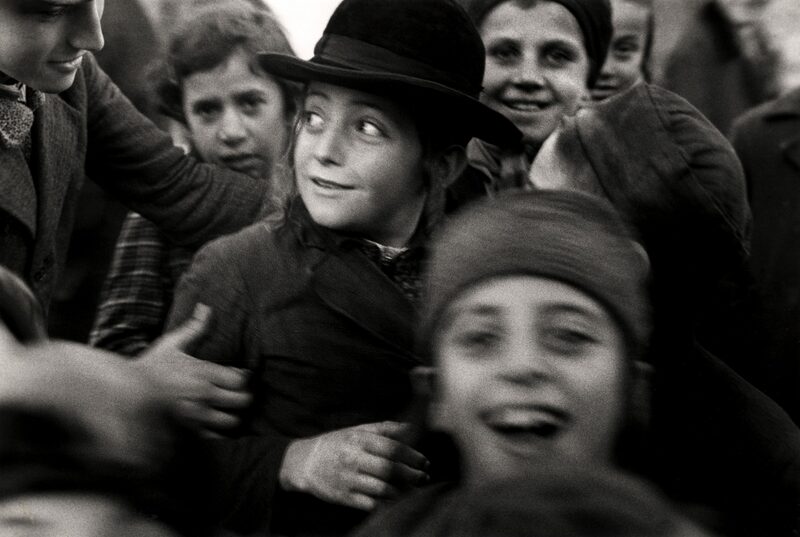 Presented simultaneously at Jewish Museum London and The Photographers’ Gallery, Roman Vishniac Rediscovered is the first UK retrospective of Russian born American photographer, Roman Vishniac (1897–1990). An extraordinarily versatile and innovative photographer, Vishniac is best known for having created one of the most widely recognised and reproduced photographic records of Jewish life in eastern Europe between the two World Wars. Hosted by The Courtauld Institute of Art Sackler Research Forum. Booking is available via their Eventbrite site. Supported by The Death Penalty Project, Simons Muirhead & Burton.